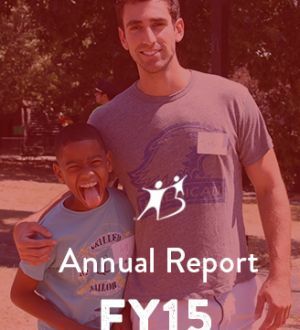 Our program matches adult volunteers with children who need an adult mentor and friend. 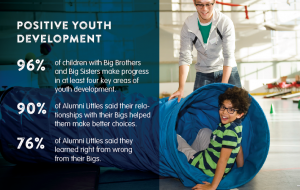 With adult attention and guidance supporting their positive development, their lives change for the better and ultimately impact the community. We are serious about our data and encourage you to study the evidence of our impact. We also hope you’ll spend some time getting to know some of our Bigs and Littles in the program. Their stories will inspire you. Read about Travis and Dan’s story here. 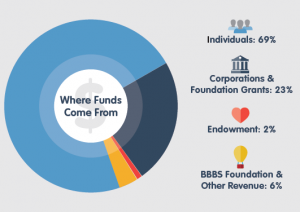 Thanks to the generosity of donors like you, we raised $6,548,754 in FY 2015 which enabled us to serve over 2,100 children. This marks our 5th consecutive year of growth in service! 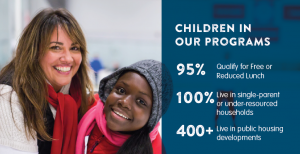 The list of donors is always growing and with your help we are able to positively impact children, their families, and the communities we serve. You are part of something ‘Big’! Service to over 2,400 children in one-to-one friendships with caring adult mentors. Fifth consecutive year of new match and revenue growth. Raise $7.4 Million in operating revenue. 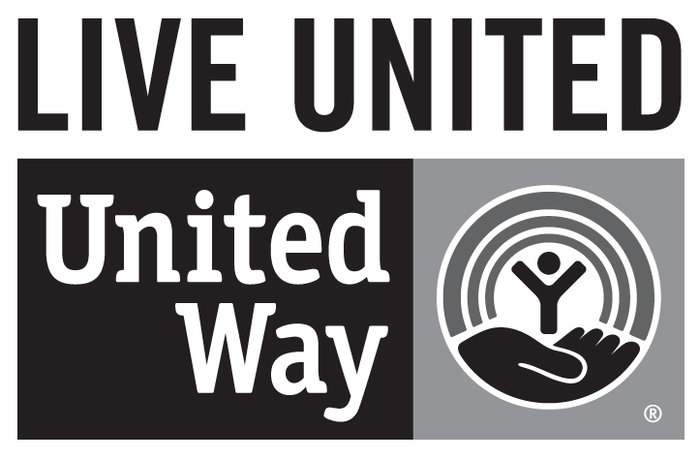 Form new and expanded partnerships with area businesses, schools and community organizations. 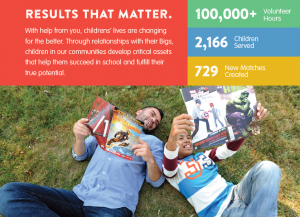 Create and support 810 new one to one matches including over 350 matches in the city of Boston. Enroll an increased number of male volunteers through our innovative digital recruitment portal. Continue to innovate with technology-enriched one-to-one youth mentoring program Mentor 2.0 to provide high school students with the support they need to graduate high school and succeed in college and the workforce.